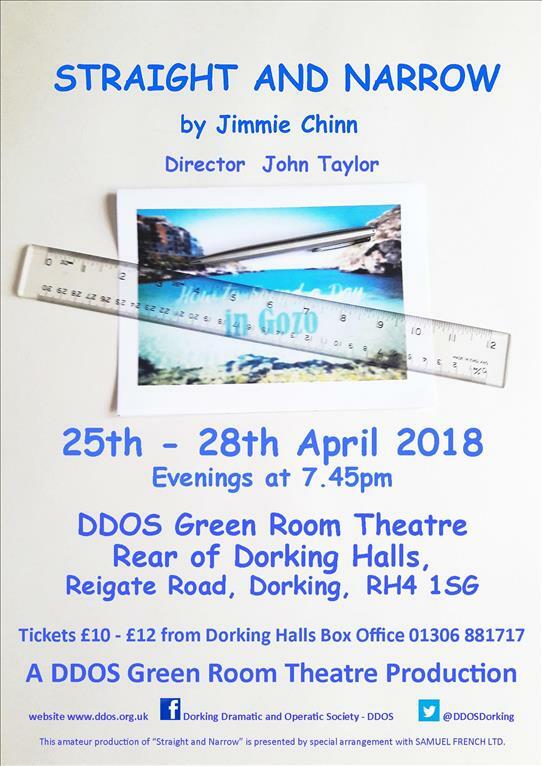 Synopsis This sharply observed comedy of family life by the late Jimmy Chinn, was first presented in 1987, and in 1992 enjoyed a smash hit run at Wyndhams Theatre, London, with Nicholas Lyndhurst in the lead. The cosy domesticity of Bob and his partner Jeff is threatened by Jeff’s crisis. It remains to be seen whether Bob’s family- his sisters, Lois and Nona, their husbands Bill and Arthur and the tactless matriarch Vera, can rescue the situation. It is also a matter of doubt as to whether Bob will be able to tell the seemingly ignorant Vera that the straight and narrow is not the life for her favourite little boy! With seven characters, a fixed set and some brilliant writing, this play is just what the Green Room Theatre ordered!